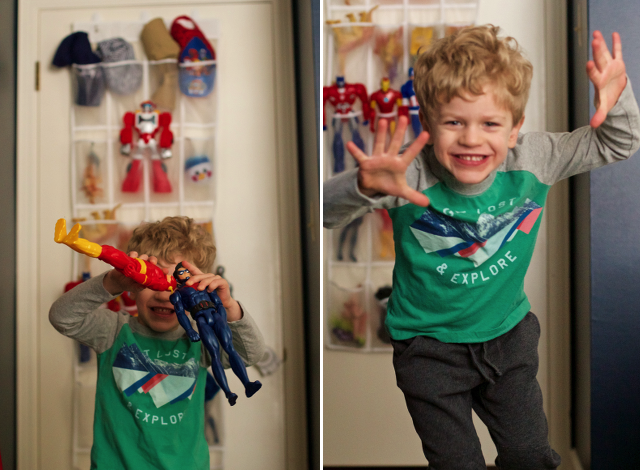 Chasing Davies: 5 Ways to Store/Organize your Kid's Toys! 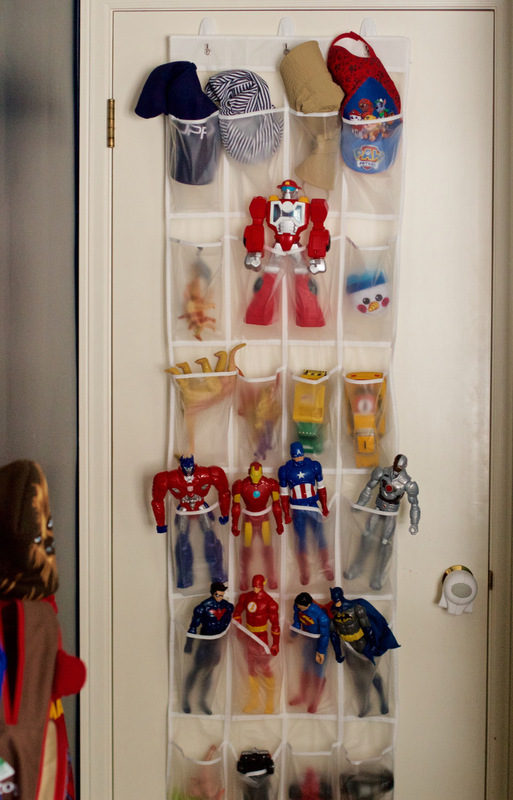 5 Ways to Store/Organize your Kid's Toys! Both my kids have birthdays right before the holidays, and then Christmas came around, and our house was literally left looking like a toy store had just been ransacked. If you follow me on Snapchat (user name is: ChasingDavies), you probably saw some of my snaps featuring my mess (I love how real Snapchat is - haha!). 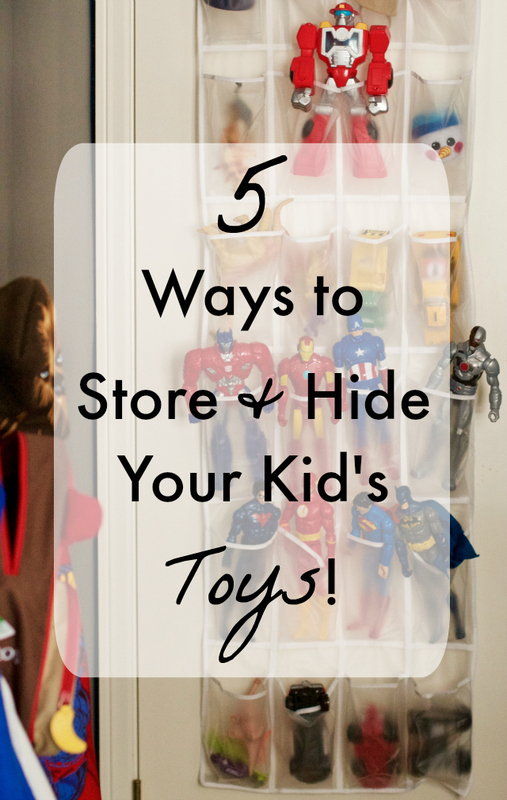 But I'm happy to say that after some Pinterest research (you can check out my organizing board here for some of my favorite finds) and shopping for some useful items, I have developed 5 new toy storage solutions for our home. 1. 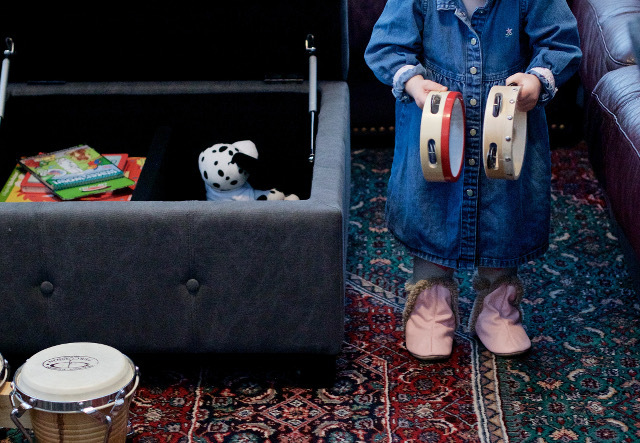 Closet Crate on Wheels: We opted for one large crate (instead of two smaller ones, which we were also considering) so that we could store some of our larger toys that the kids don't play with daily. 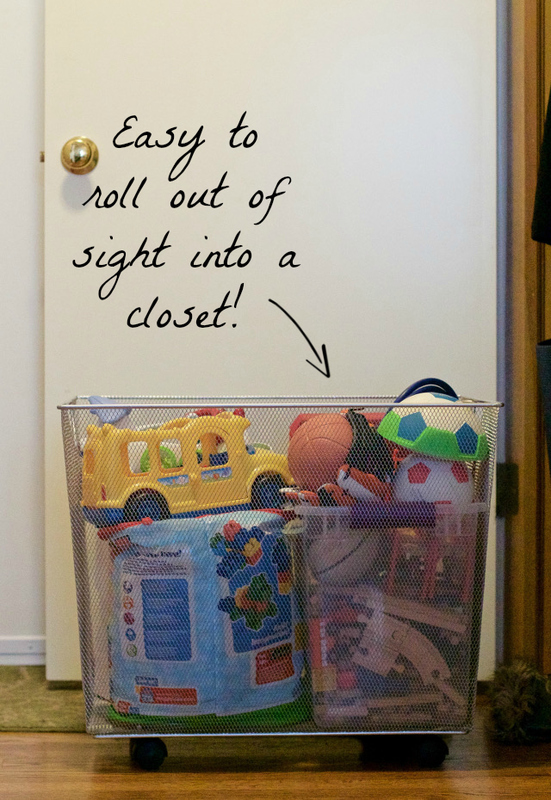 We store this crate inside our hall coat closet - and it's easy to roll out so the kids can play with the toys and then roll out of sight when their done! 2. 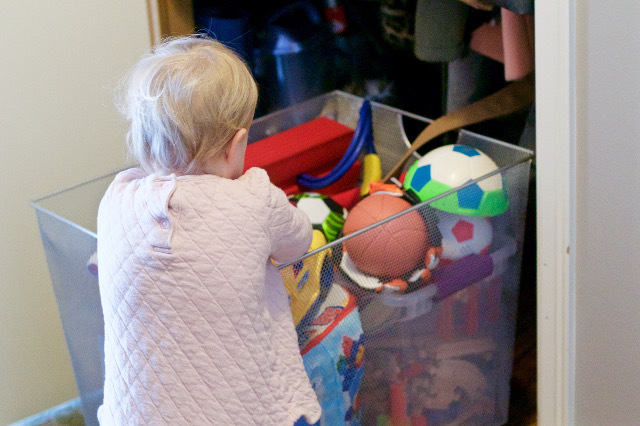 Decorative Baskets: Since we store our larger toys in the roller crate, we use these decorative baskets (similar ones here) that fit into the bottom shelves of our entertainment center in our living room to store smaller toys, things the kids play with more often and books. 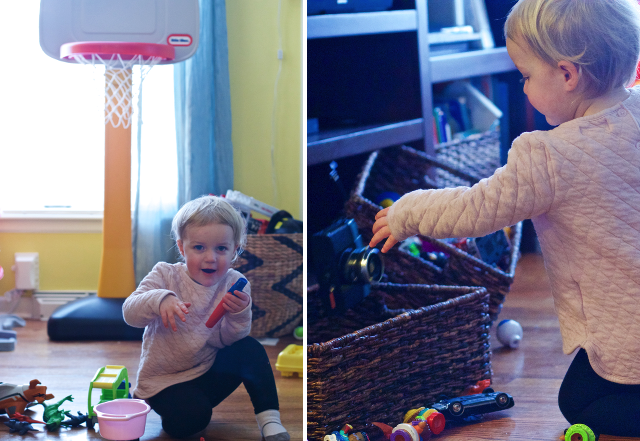 It can get pretty messy pretty fast when the kids have these baskets pulled out the toys dumped all over - but it's easy for them to pick the toys up off the floor, toss into the baskets and put the baskets away all by themselves! 3. 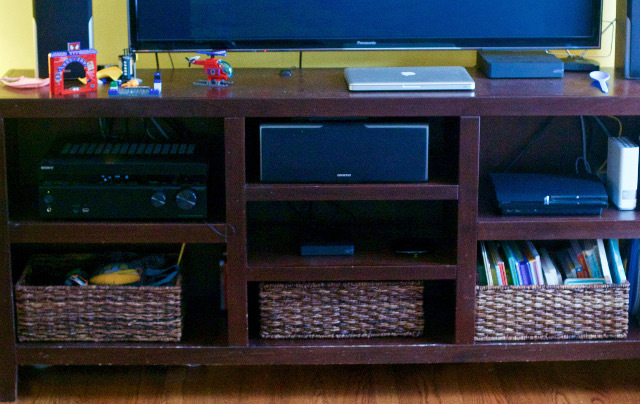 Inside Furniture: This might be my favorite - because hello, so convenient! 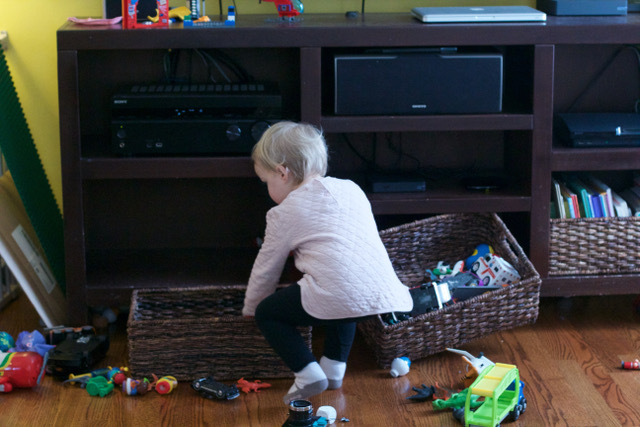 I love anything that can multi-task, furniture no different. 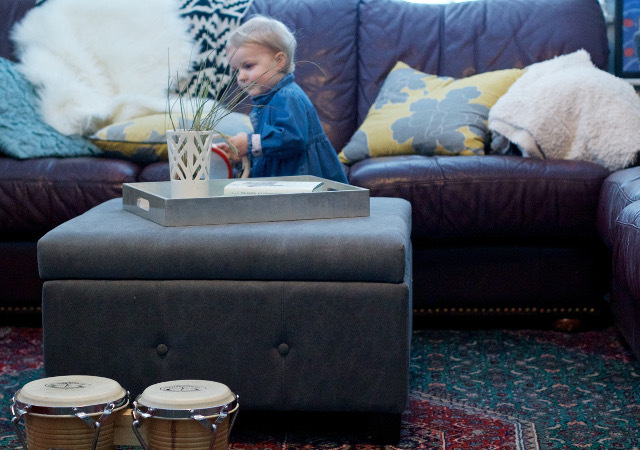 This storage ottoman from Wayfair is perfect for our downstairs family room. 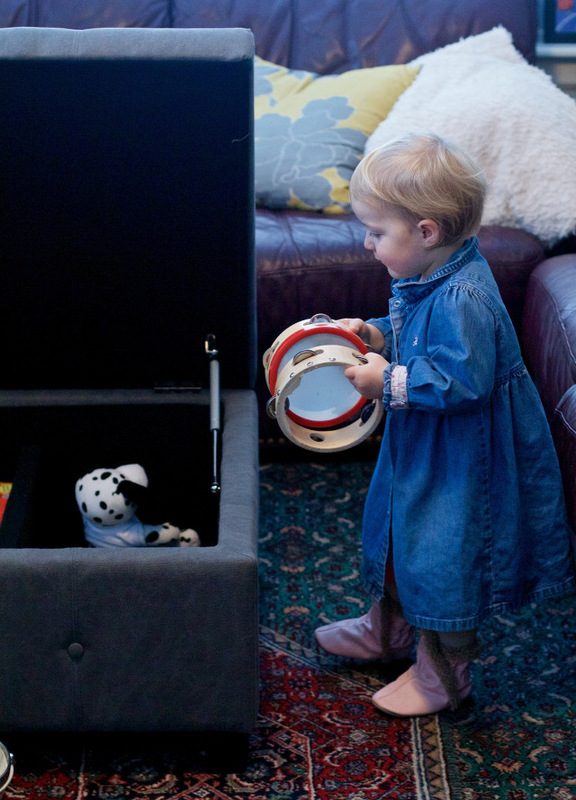 It opens up to store lots of toys and it won't slam shut - it has a safety guard in place to slowly shut the top, so no little fingers get pinched! 4. 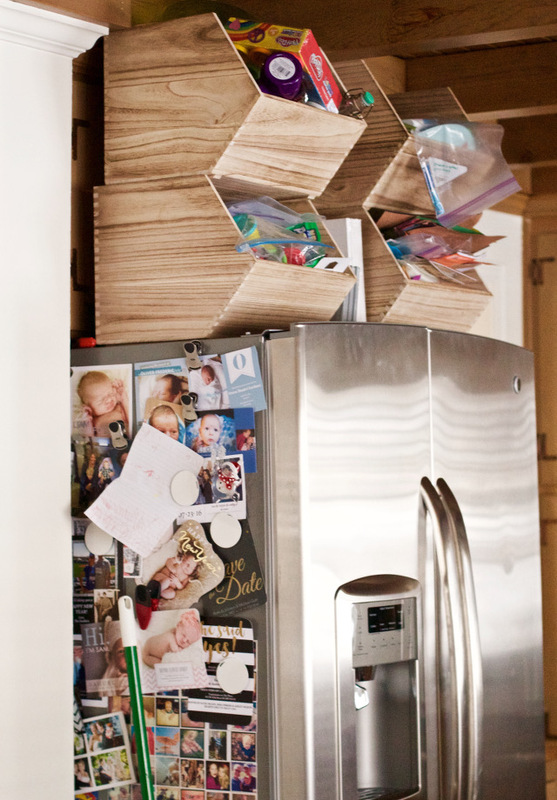 Maximize your Space's Height: We use the extra space above our fridge to house our kid's craft and art materials in 4 stacking wood bins. 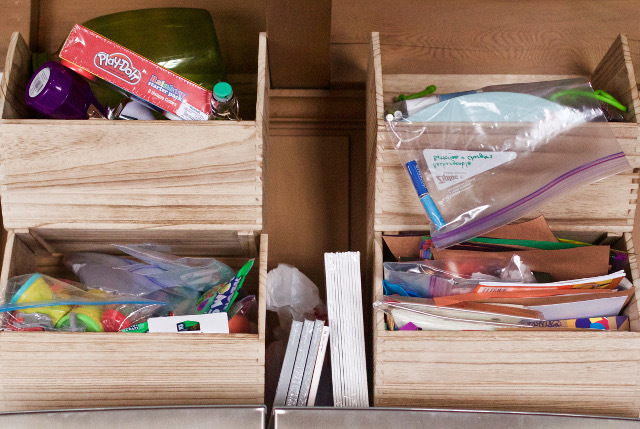 This is a good spot to easily grab or throw back markers, paper, play-dough, etc, but great that it's super out of reach from little hands to grab! 5. 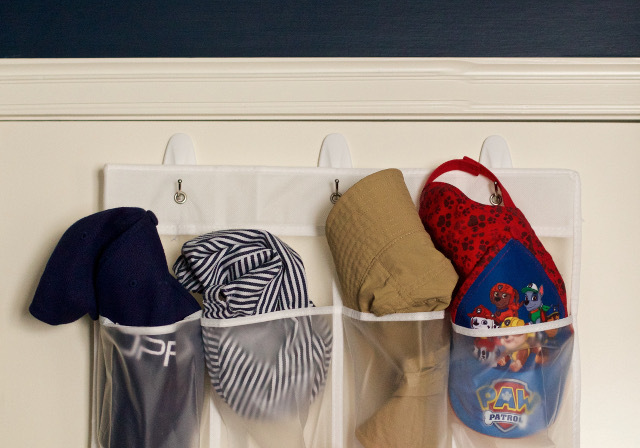 Shoe Organizer: This is definitely my son's favorite one. 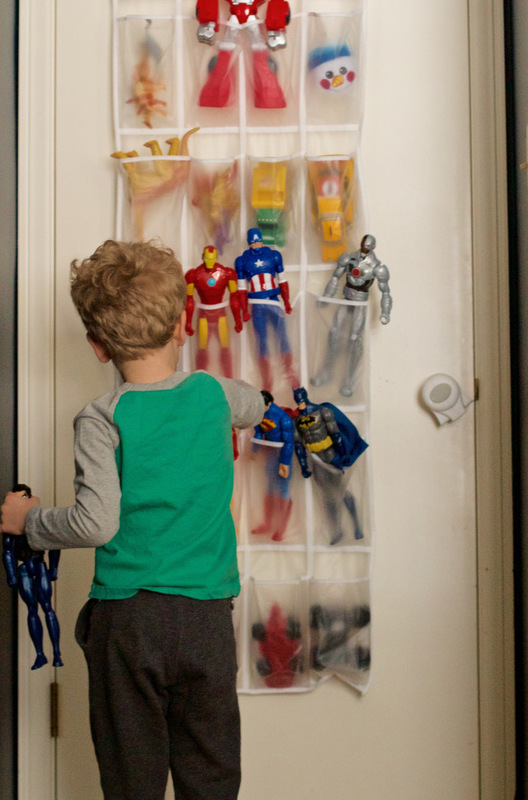 When I installed this over-the-door shoe organizer, he was SO excited to place all his superheroes, dinosaurs and race cars. 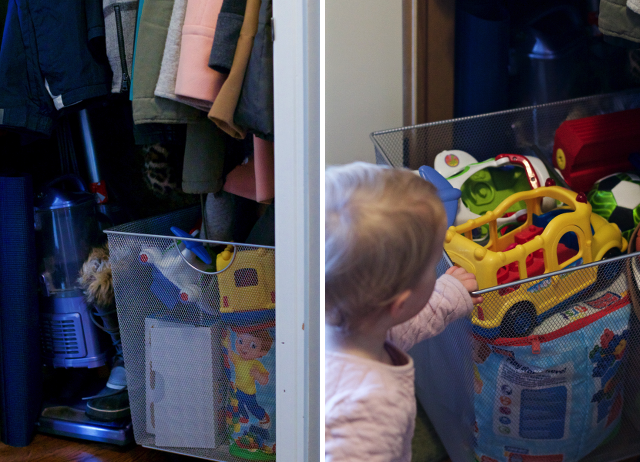 He is really proud of all his toys in their slots, and therefore, it's really easy to get him to put them back in their "homes" when he's done playing with them and I find them all our our house. 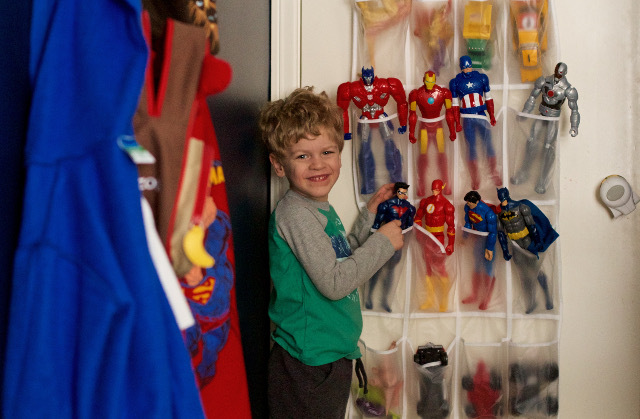 Do you have any great toy storage solutions or organizing tricks that work for your home?? I'd LOVE to know, so please share them in the comments!